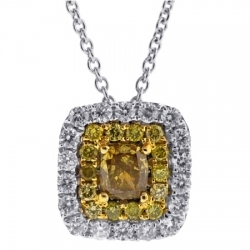 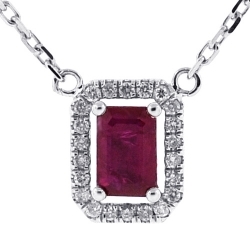 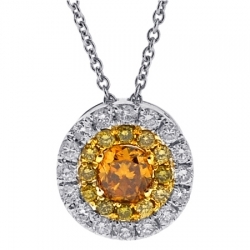 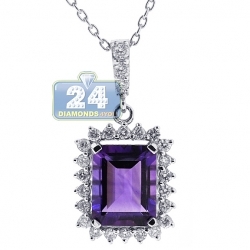 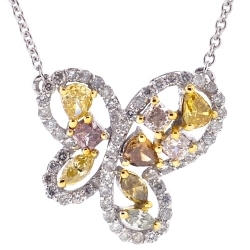 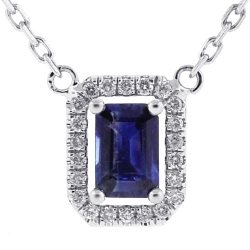 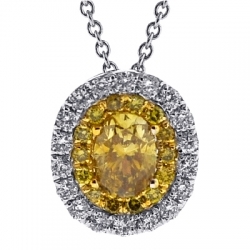 Our wonderful diamond gemstone necklace will be a stunning addition to your neckline! 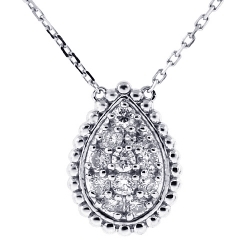 Expertly crafted in cool 14k white gold, it features highly polished finish that gives extra shimmer. 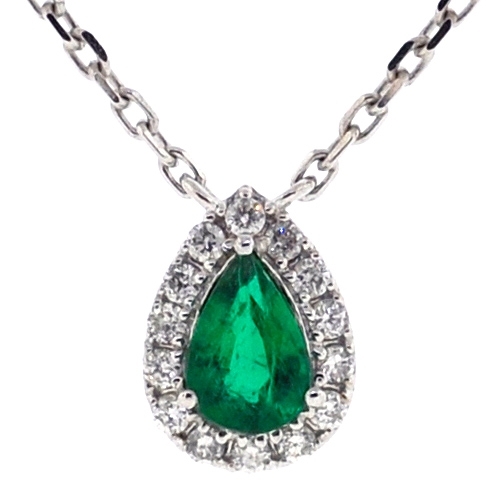 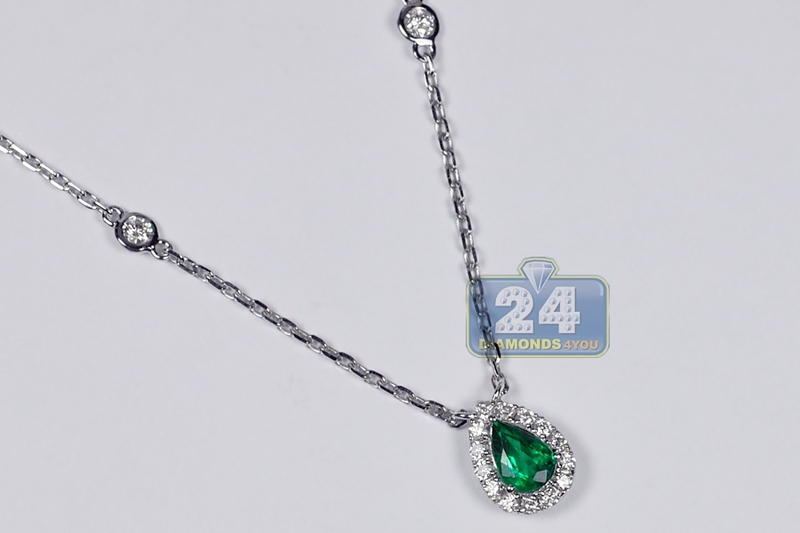 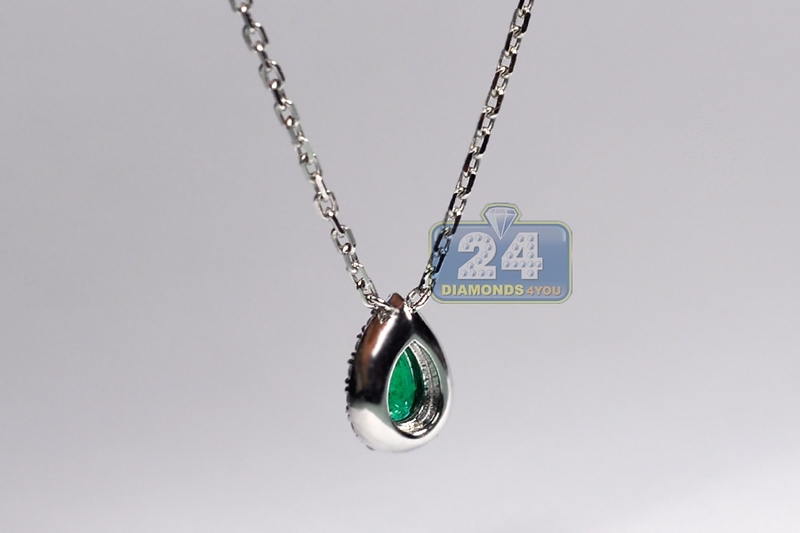 The drop pendant is encrusted with pear-shape genuine emerald (0.39 carat) that surrounded by icy white round brilliant-cut diamonds (0.29 carat). 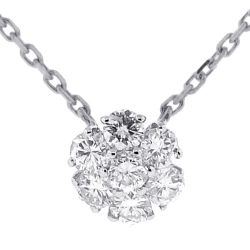 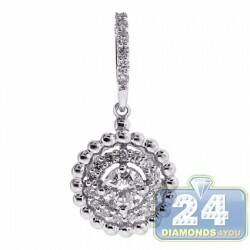 It also measures 9 x 7 mm, and suspended from a cable chain that has sparkling diamond stations. 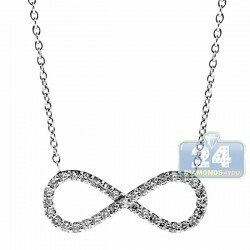 Total length is 16.5 inches. 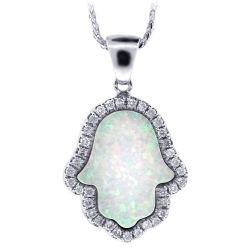 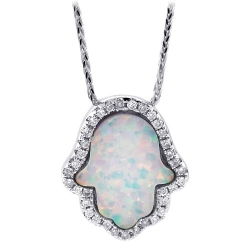 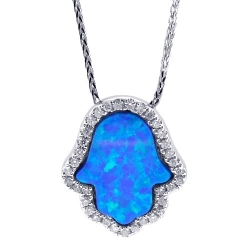 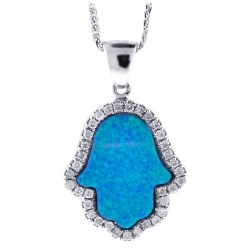 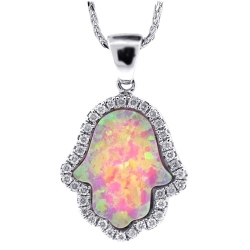 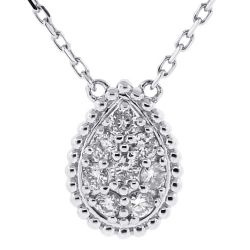 Magnificence of this women's drop necklace speaks for itself! 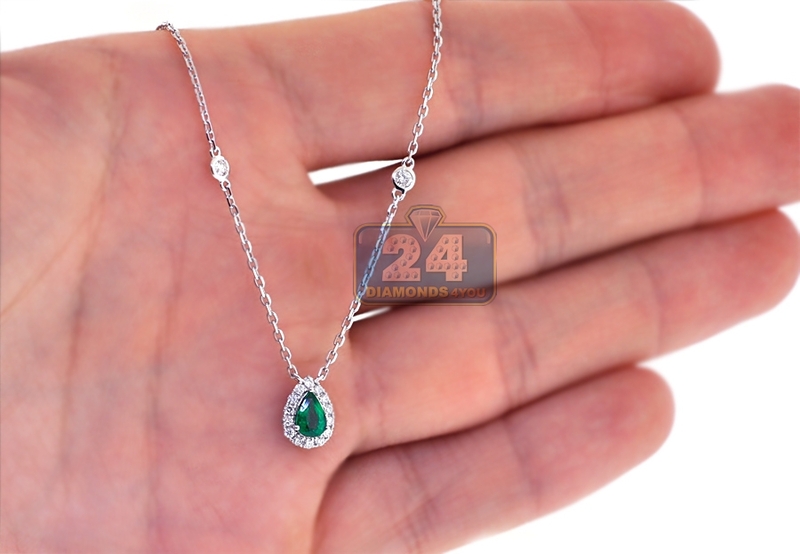 Pros: affordable, beautiful appearance, classic design, contemporary style, you can wear it with almost everything.